Eric was born In New York into a musical family. 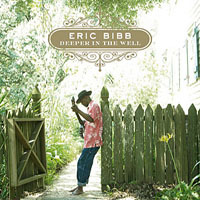 Eric's father, Leon Bibb, is a trained singer who sang in musical theatre and made a name for himself as part of the 1960's New York folk scene. His uncle was the world famous jazz pianist and composer John Lewis, of the Modern Jazz Quartet. Family friends included Pete Seeger, Odetta and actor/singer/activist Paul Robeson, Eric's godfather. At 16 years old, Eric's father invited him to play guitar in the house band for his TV talent show Someone New. Eric's early musical heroes were from his father's band, and included Bill Lee, (father of director Spike) who appeared on Eric's album “Me To You,” years later. Eric's talent for both performing and songwriting has been recognized with a Grammy Nomination (for “Shakin' a Tailfeather”) and 4 WC Handy nominations (for the albums “Spirit and the Blues,” “Home To Me,” and “A Ship Called Love;” for 'Kokomo' as Best Acoustic Blues Song of the Year, and for Best Acoustic Blues Artist of the Year). His songs have featured on TV shows such as BBC TV's 'Eastenders' and ‘Casualty’, and 'The District' in the USA. Eric's version of I Heard the Angels Singin' was included in the feature film The Burial Society and Eric appears on Jools Holland's double platinum-selling album Small World, Big Band, singing his own composition All That You Are. In recent years, the international troubadour has definitely not been traveling on the ‘Slow Train’. In 2005 Eric released “A Ship Called Love” and toured the world as ever, including a major US tour with John Mayall & The Bluesbreakers and Robben Ford. A “Ship Called Love” was nominated for Acoustic Album of the Year in the 2006 Blues Music Awards. “Diamond Days” was released in 2006 and has become the biggest selling album of Eric’s lengthy career, receiving universal critical acclaim. The album entered both Australian (National) and US charts (Blues). 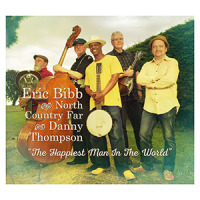 Eric has been nominated for Acoustic Artist of the Year in the 2008 Blues Music Awards. Since the release of “Diamond Days” there have been appearances on national TV in Australia (including a one hour live concert broadcast), France, Finland, Sweden and the UK (including Later with Jools Holland). The track Shine On garnered strong airplay in the US on Triple A format stations. Shine On has also been used as the opening theme for the BBC drama series Sea Of Souls. BBC Radio 2, the UK’s largest radio station, supported Eric with several prime-time interviews and extensive airplay. In this same 12-month period Eric performed over 130 shows across 3 continents. Some of the highlights included show-stopping performances at legendary venues/festivals such as Glastonbury Festival (UK); BB Kings, New York (USA); The Bluebird Café, Nashville (USA); Port Fairy Folk Festival (Australia); Nice Jazz Festival (France); Edmonton Folk Festival (Canada) and, Sommarscen, Malmo (Sweden). 2010 saw the release of Booker's Guitar, his tribute to the music of Bukka White, played on the famous bluesman's original guitar, hence the name of the record. All About Jazz musician pages are maintained by musicians, publicists and trusted members like you. Interested? 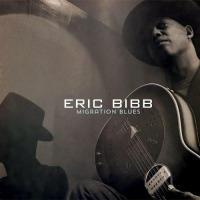 Tell us why you would like to improve the Eric Bibb musician page.